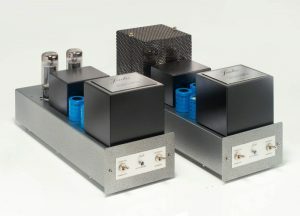 The DPMC is an MM/MC phono preamplifier with a level control. It uses 4 ECC83 for the preamp and for the RIAA correction. Tube regulated power supply ensures stability of this unit. 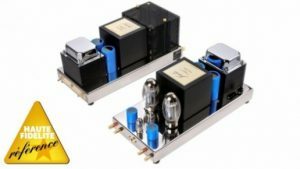 The MkII version feature a new internal layout for better isolation and also allows the input impedance to be switched between 48KΩ, 1KΩ, 300Ω, 100Ω for a better match with your cartridge. 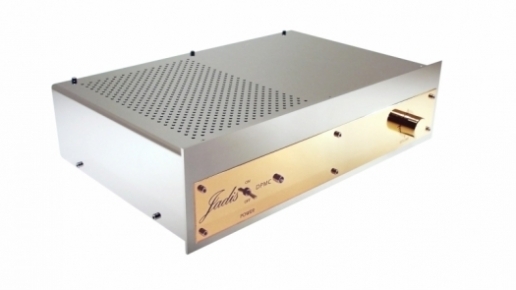 This unit is ideal to equip an integrated amplifier with a state-of-the-art phono stage that will allow you to rediscover your records collection. The all-tubed units looked and felt sumptuous, with sound to match. The line-stage was ultrasilent with its simple and elegant circuitry. […] What it added was more than pleasant, and didn’t mask vital musical information. The soundstage was spacious and superbly solid, as if carved from stone. Image specificity was first class. Tonal colors were vivid and midrange harmonic textures flowed sweetly with exceedingly low levels of grain. There was plenty of transient speed in evidence with sufficient lucidity to allow retrieval of low-level detail. 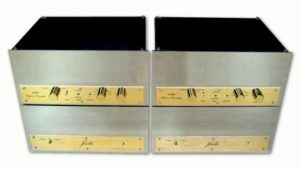 When I think of an overly tubey, thick, and syrupy sound, I am reminded of the classic Dynaco PAS-2, the DPMC is light years removed from all that. Imagine tube sound without excessive fat – with the DPMC you can have your sonic cake and eat it too. It was able to communicate the music’s pace and rhythmic drive to a degree that is exceptional at this price point. The DPMC’s tube signature is unmistakable. It romances the soul, and I for one could not resist its siren call. With a good mm cartridge in tow, the DPMC is musically compelling. 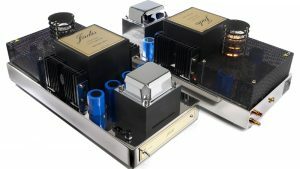 As the DPMC amply demonstrates, there is plenty of magic left in the classical approach, especially when coupled with a modern, well-regulated power supply. Join the fun, you’ll be glad you did.